Meet your neighbor and Illini West Senior Bria Repplinger of Carthage. Bria was born on August 30, 1995 at Memorial Hospital in Carthage. Her mother Diana Harrison works at Homestead Lumber Company in Carthage as the appliance sales manager and her step father, Dave Harrison works for FS in Carthage. Her father, Jeff Repplinger works at Pinnacle Foods in Fort Madison, Iowa and her step mother, Cathy Repplinger works at the Quincy Medical Group. Bria has one sister, Shelby who lives in Quincy and works at Estee Lauder. She has three stepbrothers, Adam, Scott and Brady; and two step sisters, Abbie and Kiera. She also has three nieces, Haiven, Talya and Adalyn. She is the granddaughter of Jim and Nancy Repplinger and Doris and the late William Wear, Sr.
Bria has been very active during her high school career. She played volleyball for 2 years, and she was cheerleader for two football and basketball seasons. She has been a member of the International Club for 3 years, FBLA for one year and SADD for 2 years. Bria attends the Crossing Church in Quincy. In her spare time, Bria loves to be outdoors and hang out with her friends. Her favorite thing to do is to go fishing. She loves going to Branson and the Ozarks every year for vacation with her family. Her most memorable high school moments have been cheerleading senior night and helping out with the special education basketball game. 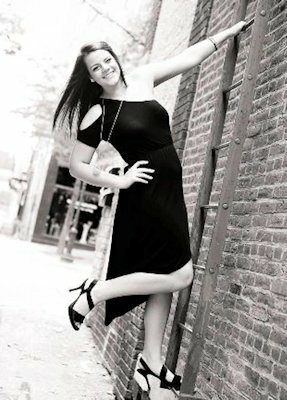 After high school, Bria plans to attend Southern Illinois University Edwardsville and majoring in Special Education.